Here’s another write up by a dynamic CECian. 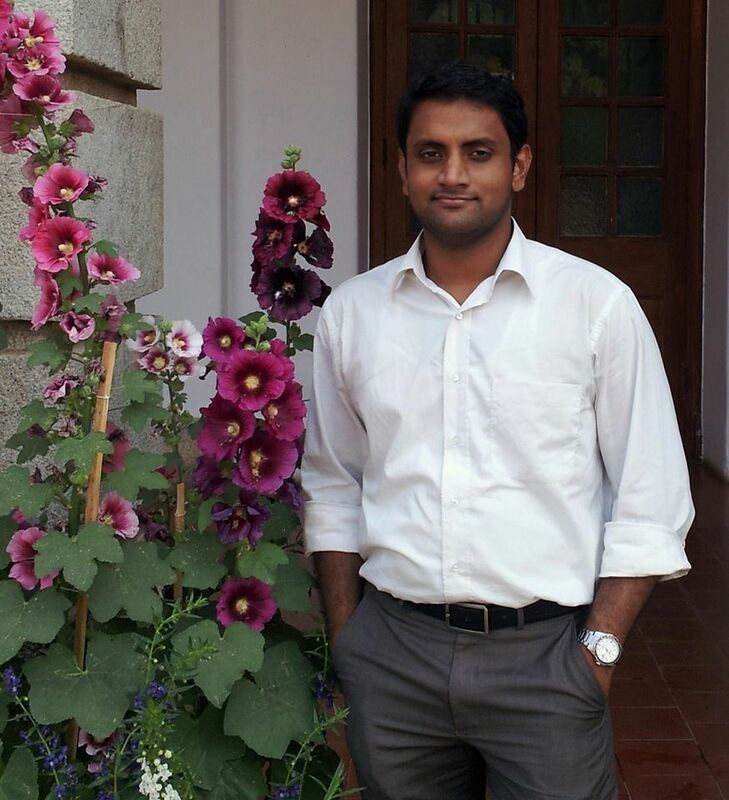 Reuben George Stephen belongs to the 2009 batch of CEC. A good singer and scholar, Reuben has been instrumental in many activities during his time at CEC. Post his BTech in ECE, he did his masters from IISc, Bangalore. Currently he’s doing his PhD from National University of Singapore. He’s written a long, detailed note for fellow CECians. Thanks, Reuben. Why did you decide to pursue a PhD after industrial experience at C-DOT? Did you think of doing it when you passed out from CEC? The immediate answer is that I was not very happy with my job in C-DOT. But, the real reason is perhaps deeper. During my Masters in the Indian Institute of Science (IISc) Bangalore, I was exposed to a kind of “research culture” that was unknown to me before. I never really took research seriously during my B.Tech. days; in fact, I naively thought that theoretical research was something very dissociated from the real world, and had no practical relevance. Hence I had no aspirations of research even while preparing for the Graduate Admission Test in Engineering (GATE), and up until the end of the first year in IISc. However, my initial experience with research in IISc for my Masters project completely changed my notions about research. When I started my Masters project, it was an uphill task for me. But, eventually, I found that I enjoyed doing this stuff and that I got some sort of a “kick” out of doing research. It is hard to explain, and is perhaps the same kind of feeling that many people get out of doing what they actually enjoy doing. So even though doing research was difficult, I found it satisfying. After completing my Masters I wasn’t really sure of what to do next as I hadn’t really planned out my life. I also wanted to know how what I learnt worked out in practice. So I joined C-DOT as I had got placed there during the campus interviews. The job profile involved working with 4G LTE base stations and I did get to know how things were done in practice. But later I felt my job was not stimulating enough, as I was mainly doing testing work, and it tended to get repetitive. 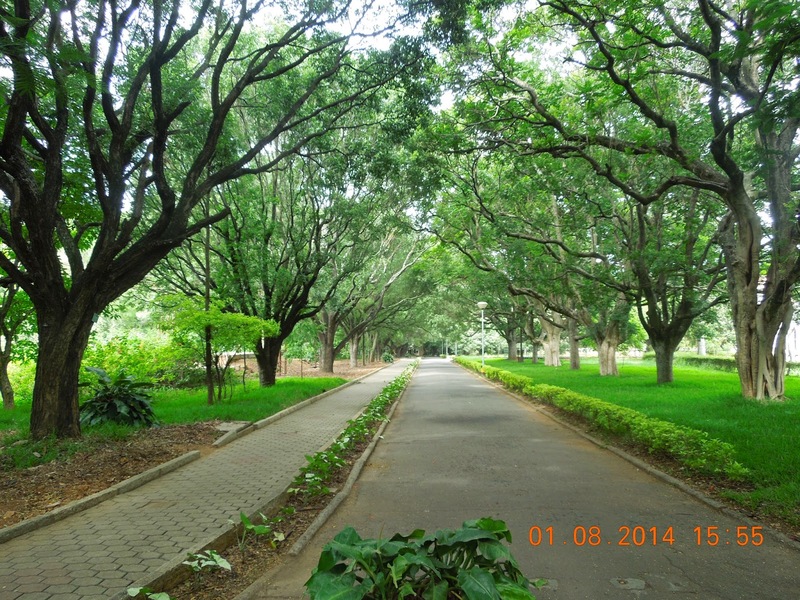 The somewhat lethargic environment was also in sharp contrast to what I had experienced in IISc. How do you find the EC courses in India and in the NUS different? What makes the latter of higher quality? I will try to compare NUS and IISc, as I don’t think a comparison between NUS and CEC would be fair. In essence I think, the range of courses offered in the ECE department in IISc, especially in the areas of communications and signal processing is much wider than what’s on offer in the ECE department in NUS. Even the professors in IISc are as competent as those in NUS, as they are reasonably well known in the world in their respective areas. However, one positive aspect of the teaching in NUS that I did not find in IISc is that here, the professors don’t teach a lot of stuff at once. Instead they teach topics that are both fundamental and expected to be relevant in the future, and at the same time make sure that the students understand it really well, even though it may mean that they have to reduce their level of mathematical rigor a bit. It is one thing to teach everything you know in its full glory, and another to select the most relevant topics and make sure that the students understand it well and become interested enough to further pursue it. As I said before, I did not really plan on going for a PhD, even after I completed my Masters. However, when my work in IISc got published in the IEEE Trans. on Wireless Commun., I had a boost of confidence in my research abilities and felt that maybe I should go into research. Also, for some reason, my advisor in IISc, Dr. Chandra R. Murthy, used to say that I would do better in research than in the industry. So I thought why not, and started preparing for the GRE in September 2012. I appeared for the GRE and TOEFL in the end of November 2012, which was quite late. As I had a time of only 2 months, I enrolled in a short online training program on www.greedge.com. This was quite helpful for me, as I could practice a lot of GRE type questions. My score was 327/340 with 164/170 in the quant section and 163/170 in the verbal section. For TOEFL, I just watched some YouTube videos on good strategies to approach each section (listening, reading, speaking and writing), which helped me quite a lot. I scored 118/120. For Indian students, I feel the quant section of GRE is quite easy. But the verbal part can be very tricky, even for native speakers. This is what I feel should be the prime focus. If there is sufficient time, follow the book “Word Power Made Easy” religiously. And if you search online, you can find many other resources as well for GRE/TOEFL. Please brief us on the application and admission procedure. Please share your whole experience, as that would be beneficial to the future applicants. The fall (August) application deadlines for various US universities are around December and January. So, if you are planning to apply to a US university next year, ideally you should start preparing for the GRE/TOEFL in June/July in the current year, and give the tests by September/October. You should also search and decide on the universities you want to apply to by this time. For MS, you can rely on the world rankings, while for PhD, you may want to apply to universities that have good research groups in your area of interest. Ideally you should choose 1-2 universities ranked in the top, 3-5 in the mid-range and again 1-2 in the lower ranks as a safety net. Remember that each university charges you an application fee (around $100), so don’t simply apply to a lot of them. For PhD admissions, it is a good idea to initially email some professors in various universities you want to apply to, expressing your interest in their work. This should not be a standard format email that you send to all professors. You should make the effort to read some of their research papers and mention what you liked or did not like about their research, and if possible, some of your ideas for future work. Also mention your work in the area if any, ask them if they would be willing to take you as a student and attach your resume (but don’t make the email too long!). Also don’t mail a lot of professors in the same university. Pick one or at the most two. Some professors do respond and all professors definitely read their email. So in the best case, you may get a favorable reply from some, and in the worst case, they will remember your name when they are going through the applications. It will definitely give you an edge over other applicants. The top ranked universities you apply to should be chosen based on your own academic/research standing. For example, when you are applying for PhD, if you already have a few papers published in good journals/conferences in your area and have worked with a reasonably well known person in the area who can give you a good recommendation letter, you can certainly apply to universities in the top 5. Otherwise, it would be better to start lower to increase your chances. When applying for MS, this decision can be made based on your GRE scores and academic record. If you have a perfect GRE score and you were ranked in the top 10 in your university during B.Tech., you can apply to universities in the top 10; otherwise, start lower accordingly. The next thing to do is to get good recommendation letters (recos). The required number is usually 3, although some universities require only 2. Recos should ideally be from people who have worked closely with you. For example, your research advisor during your Masters or your project advisor during B.Tech., or your team/group manager if you were working in the industry. Ideally, ask for recos from people whom you are sure will speak highly of you. An ordinary letter won’t do much good. Also ask as many people as possible for recos, and ask them early (i.e., as soon as you start preparing for the GRE/TOEFL) because some people (especially well known professors) may not give more than a fixed number of recommendations in a year. Similarly, make a statement of purpose (SOP). This is primarily to know your interests. A good SOP should weave a coherent story about your life, and show the admissions committee examples from your life where you have shown some extraordinary skills or grit (e.g., how you overcame the lack of facilities in your country or how you pursued your passion in the face of adversity, etc.) and your efforts to pursue your interests (e.g., how you built an autonomous robot for your B.Tech. project because you were interested in robotics). You should mention your areas of interest and why you plan to pursue an MS or PhD. If you are applying for PhD, you may also mention any specific research topic you want to focus on. You can also include the names of one or two professors (not too many!) in that university whom you wish to work under. By November, you should start filling up the online application forms for various universities. Some universities require the actual transcripts of your B.Tech. and Masters courses, which are to be sent to them directly by the universities that gave you the degrees. This can be an administrative hassle, especially with universities like CUSAT. So, be ready for that. Another option is to email the administrative officers in the universities you want to apply to and ask them if it is OK to just send electronic copies of the transcript yourself, and later produce the original transcript if you get the admission. Some universities agree to this. For MS admissions, you may also need to show that you have sufficient funds to complete your studies. This involves sending them copies of your bank statements, showing enough money in your account. I do not have enough information about this to say whether it can be avoided. By December and January, you can complete the admission process and wait for the results, which usually come by March/April. How did you brush up your EC topics before going to the University? What would you suggest such candidates do before they undergo MS/PhD in EC abroad? I did not really brush up a lot of topics before joining NUS, as I had to complete the notice period for my job. If you are joining for MS/PhD soon after B.Tech./Masters, it may not be necessary to brush up. However, if you took a break from academics for say 2 or more years, it will be good to go through relevant topics again. The topics would be different depending on the area. For example in communications research, relevant topics are linear algebra, probability, mathematical analysis and optimization. These topics aren’t really taught much in colleges in Kerala, so you may need to study from the scratch anyway. How has CEC/IISc been helpful in current stance? IISc has been very helpful. Most of the professors who taught me in IISc were huge inspirations. Many of them are very democratic and encourage students to question them, rather than just blindly do what they say. They strive to be on the cutting edge of whatever they specialize in. Another interesting fact is that they usually dislike false displays of respect like standing up in class when they enter and so on. This is true of the professors in most good universities. 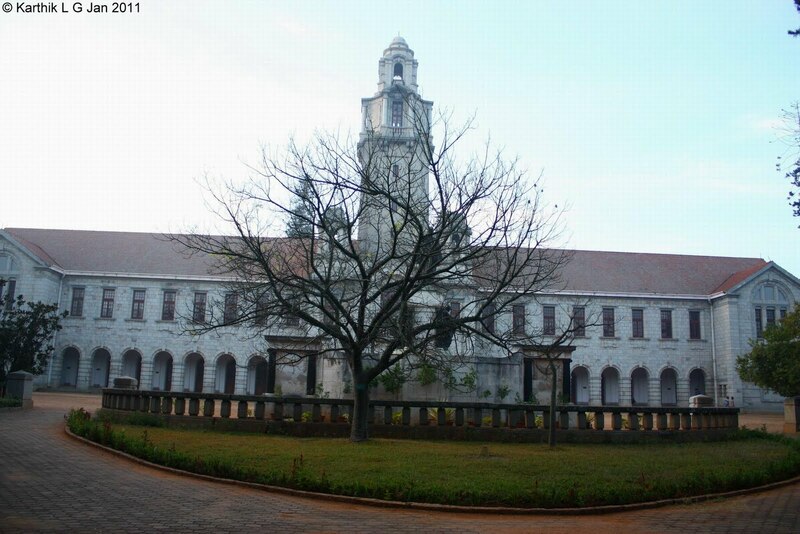 In particular, IISc transformed the way I think. I didn’t realize this until I came out and worked in the industry. The level of critical thinking required in research is very high, and this had a huge positive effect on me. It helped me a lot in the industry when I had to debug stuff that didn’t work as expected. It has even helped me in dealing with the dilemmas of life J. Looking back, CEC hasn’t really helped me a lot academically (I wasn’t really focused as well), but I did get a bunch of very good friends for life! Life in the industry helped me get a perspective on how things are made to work in practice. Usually this involves some ad-hoc solutions that theorists would frown upon J. In research you solve a problem given a set of constraints, while in practice, it may happen that those constraints are not relevant! In a way it did help me get a feel for what problems are more relevant in a practical setup. The bottom line is that some industry experience can help you decide what problems to solve in your research. Could you please briefly explain your experience as a research scholar at NUS? Experience as a research scholar in NUS has been good so far. It is quite humbling to find yourself in the middle of a set of very hard working students, and professors who have high expectations of you. My areas of interest are very much related to wireless communications. My work in IISc had to do with algorithms for selecting the best antenna to use in a time-varying wireless channel. Currently it is about how to optimally allocate resources like power and bandwidth to a large system with many users and base stations under certain constraints. The constraints depend on what sort of system you are dealing with. Right now I am working on a type of system that could be a part of the 5th generation (5G) standard for cellular systems. The kind of research I do makes use of a lot of mathematical tools like convex optimization, detection and estimation theory, and matrix theory. Generally speaking, even topics that traditionally belonged to economics like Game Theory, and to computer science/mathematics like Graph Theory, are becoming increasingly relevant in communications. 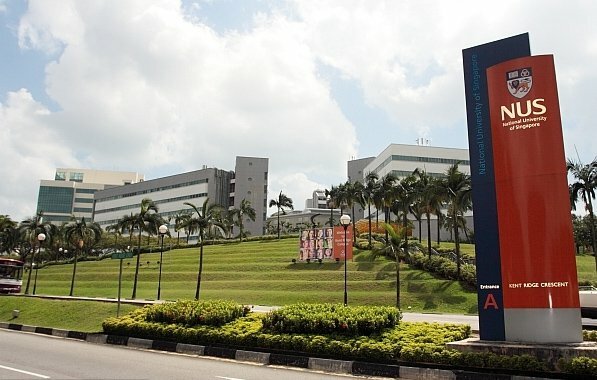 How do you rate life at NUS and the institute campus as a whole? The standard of life is very good. Facilities are excellent compared to even premier institutes in India like IISc (except the excellent mess food there!). Unlike India, convenience levels are very high, largely as a result of automation, and you do not have to worry much about the day-to-day activities of life. 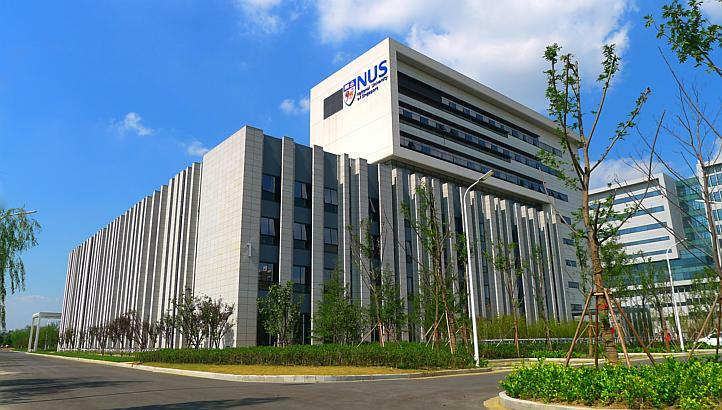 I get a scholarship from the NUS Graduate School for Integrative Sciences and Engineering (NGS), which includes a tuition fee waiver and a monthly stipend, which is more than enough to cover food and accommodation expenses. Usually, you get admitted to a PhD program only if you qualify for some scholarship. Or else, your advisor will fund you as a research assistant or teaching assistant. However, for MS, you will need to fund yourself. An MS in NUS may cost roughly INR 15 lakhs per year. Anything else you would like to tell young CECians, who aspire to do an MS/PhD in NUS? My general advice is that if you are interested in research, and want to be at the edge of knowledge, you should definitely go for a PhD. And don’t restrict yourself to NUS or IITs. Research programs in the US are generally considered to be better than those elsewhere, but it depends on the people/faculty as well. Keep in mind that for an MS abroad, you would be required to bear the expense yourself, while you get a stipend from MHRD if you do your Masters in India. The “ideal” path for an average CEC student really interested in research would be to pursue a Masters in India in one of the IITs or IISc and then go for a PhD in the US. Of course, you could do a PhD in India as well, but the kind of exposure you get is very different. If you are a really good student it is possible to directly get a scholarship to pursue a PhD in the US or elsewhere. For this you need to really excel in your academics and focus really well on your project. Take up challenges. The Internet is a vast mine of resources, especially with the advent of Massively Open Online Courses (MOOCs). Make use of it. Don’t just restrict yourself to what is taught in class. The last time I checked the syllabus, it was seriously outdated. If possible, try to grab a summer internship offer in one of the IITs (this is difficult, but not impossible I feel). This will get you in touch with good professors and help you get recommendations. The bottom line is don’t restrict yourself. The sky’s the limit! This entry was posted in 2009 Batch, Achievements of CECians/CEC, Alumni or ARC (Alumni Relations Cell), College of Engineering Chengannur, Exams and Results, Higher Studies, Interview and tagged 2009, Btech, CEC, CEC 2009, Doctor of Philosphy, Doctorate, Electronics, IISc, Interview, Interview with Reuben George Stephen (CEC 2009 EC), ME, MS, National University Singapore, NUS, PhD, PhD at NUS, Research, Reuben, Reuben George Stephen, Reuben Stephen, Singapore. Bookmark the permalink.